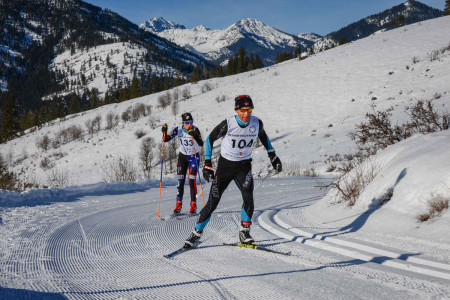 In a fitting setting for the the inaugural Ski to the Sun Marathon and Relay, hundreds of skiers emerged from a fog-blanketed morning dreamscape in Mazama, Washington as they cruised down the Methow Valley to brilliant sunshine and the finish at Sun Mountain Lodge. Kent Murdoch, who splits his time between Mazama and Fall City, Washington, took advantage of his familiarity with the final climb to lead the marathon field over the 41 km course, passing a fading Liz Stephen in the last kilometer, to finish in 2:09:30.7. Stephen, the recently retired three-time Olympian who hails from Park City, UT, lead the women’s field in 2:10:20.4. Rounding out the podium in the men’s division were Logan Wetzel of Bellingham, Washington in 2:09:56.2 and former NCAA All-American for the University of Denver and National Championship runner-up Mike Hinckley, who also resides in Bellingham, in 2:10:32.7. For the women, all three steps were filled with past Olympians as Methow locals Laura McCabe and Leslie Hall crossed the line in 2:10:43.3 and 2:25:43.0, respectively. In the relay division, Chomper Bomper, a group of four junior skiers from the Methow Valley Nordic Team – Garrett Butts, Travis Grialou, Bodhi Kuzyk and Walker Hall – lead from the first kilometer to finish in 2:03:38.3, besting Shasey a duo of former national team biathlete Casey Smith and local mountain guide Michael Hutchins. 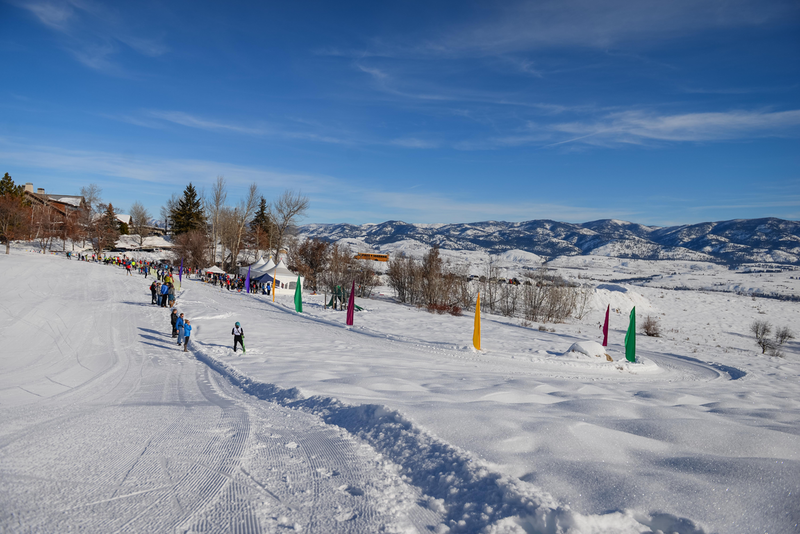 The event was organized through a partnership of Methow Trails, the nonprofit that grooms and manages 200+ kilometers (120+ miles) of trails in the Methow Valley, and Methow Valley Nordic Ski Educational Foundation, another nonprofit that focuses on delivering skier programs from classes, clinics and camps, to junior learn-to-ski and cross-country and biathlon racing programs. The vision for the event was a hybrid of ideas from the two organizations: create a marathon event that is a true testament to the level of skiing in the valley with a relay that has opportunities for skiers of all abilities to participate. 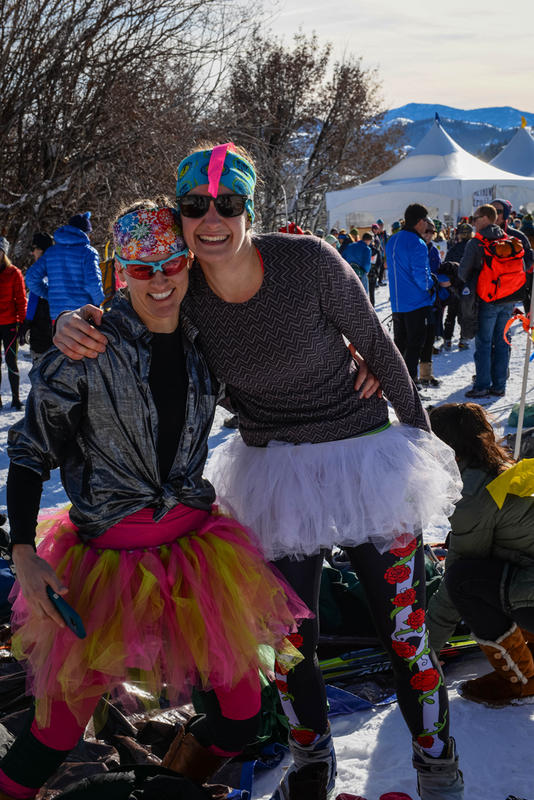 A true community-based ski event. The event’s appeal was clear to those on the sidelines as well. Kathy Dalton, who was filming the start and finish, said it made her want to begin racing, and she jumped into a local training group within days after the event..
With just shy of 400 competitors and a successful start in its first edition, the second Ski to the Sun Marathon and Relay is slated for late January or early February 2020. Stay tuned to methowtrails.org and methowvalleynordic.com for more info.